Service of Holy Communion celebrated on the first, third and fifth Sundays of each month. Celebrated on the second and fourth Sunday of each month. Children participate in the service and hear a special sermonette just for them. Looking for a daily or seasonal devotion. Click on one of the links below. Please note that this will open a window to another website. The Trinity Choir meets after church during the seasons of Christmas and Easter to practice a special piece of music for the worship service. 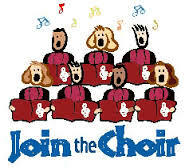 See Cheryl Kussmaul if you are interested in singing with us. 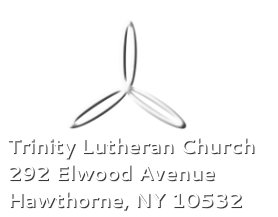 The Trinity Bell Choir meets Wednesdays at 6:00pm from September to June. They rehearse beautiful handbell music designed for the worship services. See David DiLeo if you are interested.